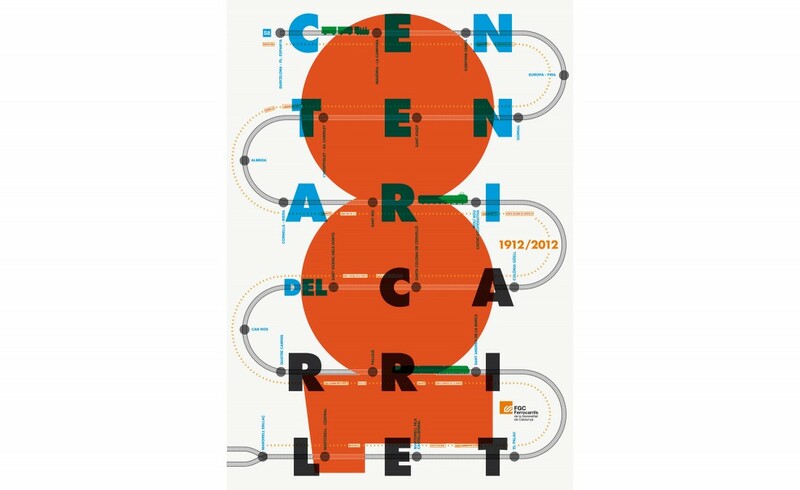 A poster celebrating the 100-year anniversary of the Carrilet, a Ferrocarrils Catalans railway line that connects Martorell with Barcelona, along with the main towns in the Baix Llobregat county. The historical event occupies the foreground of this clear and playful poster, with some small elements inviting closer observation. By isolating this route from the entire Catalonia railway network, we enable the viewer to become acquainted with the essence of the Carrilet, the lesser-known element of this line. At the core of the poster lies the number “100” as if it were the name of a brand, along with all the stations and towns the line passes through and a short history of the trains. With its mere 20 letters, the title almost coincides with the number of stations and thus brings the stops together.